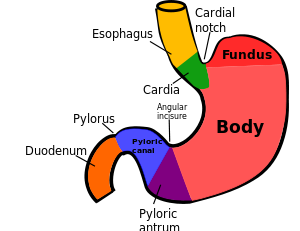 The fundic region of the stomach is formed by the upper curvature region of the organ. The glands in this region are known as gastric or fundic glands and extend all the way to the muscularis mucosae. From three to seven glands open into the base of each gastric pit. Each gland has a fairly long, narrow neck and a short, wider base. At their base, the glands may divide into two or three branches which become slightly coiled. 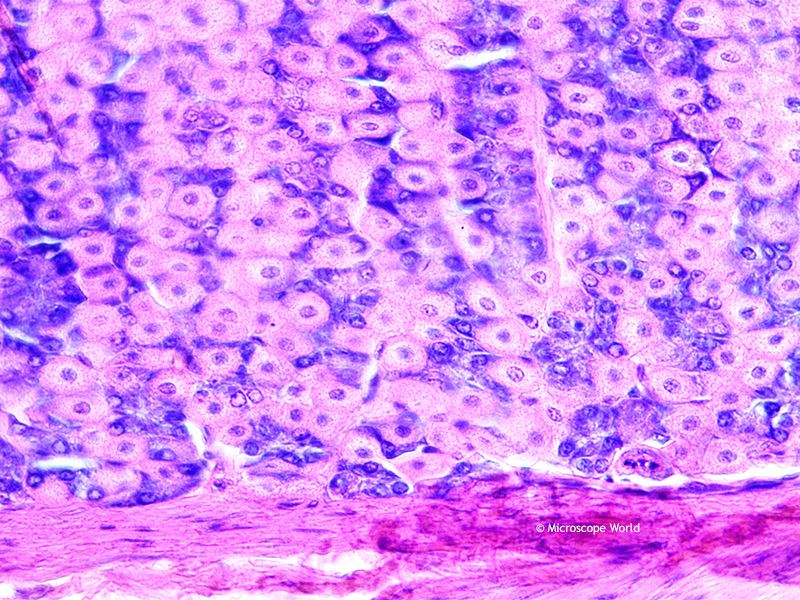 In the fundic region, almost the entire lamina propria (mucous membranes) are occupied by glands. 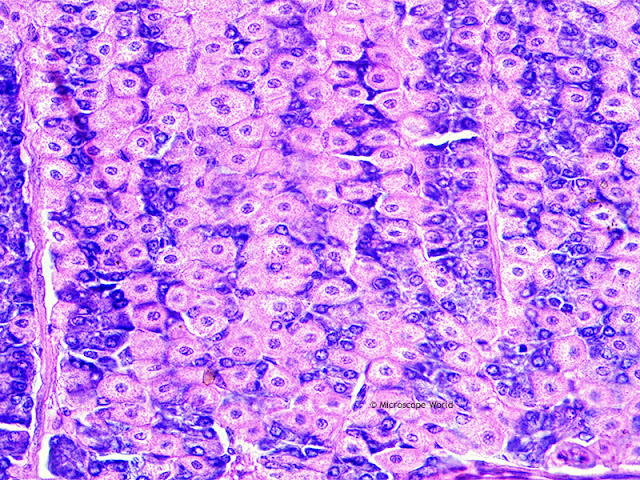 The lamina of the glands are usually not identifiable and they usually appear more like cords of cells. 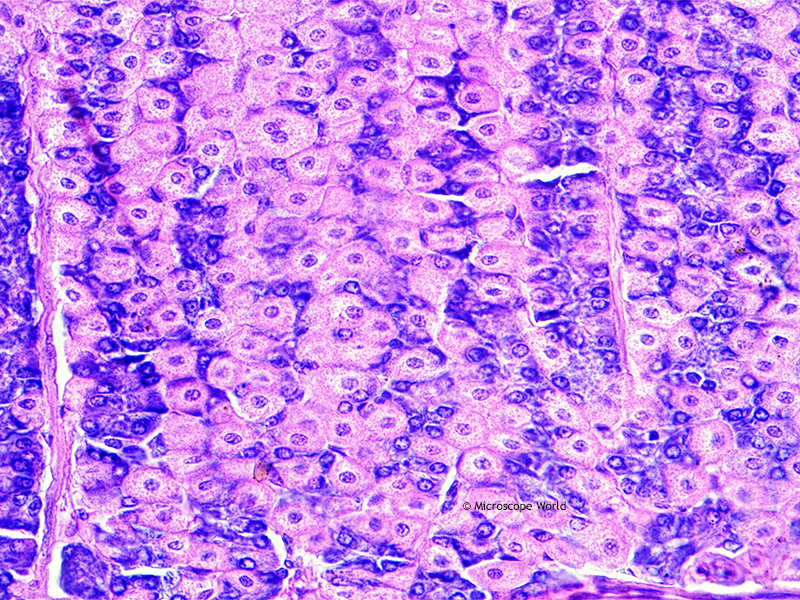 The only "typical" lamina propria can be seen in the areas between the foveolae and around the bases of the glands. 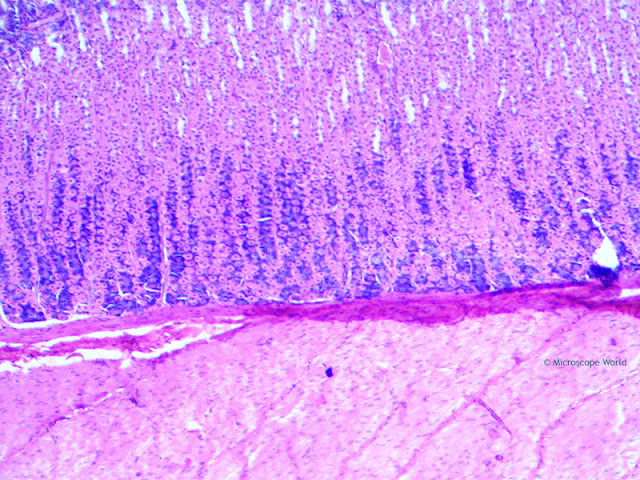 The cross sections of the fundic region of the stomach shown below were captured using the RB30 lab microscope and a HD high definition microscopy camera. Stomach Fundic Region c.s. under the RB30 microscope at 40x. Stomach Fundic Region c.s. under the RB30 microscope at 100x. Stomach Fundic Region c.s. under the RB30 microscope at 400x. Stomach Fundic Region c.s. under the RB30 microscope at 400x using Plan Fluor Objective. 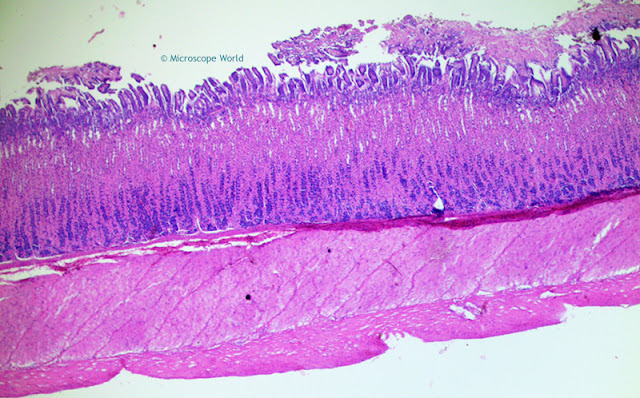 View more histology stomach images here. For more information on microscopes and microscopy cameras visit Microscope World.